BE PEACFEUL: Frosted Rose Quartz is said to promote compassion, peace, tenderness. and healing. 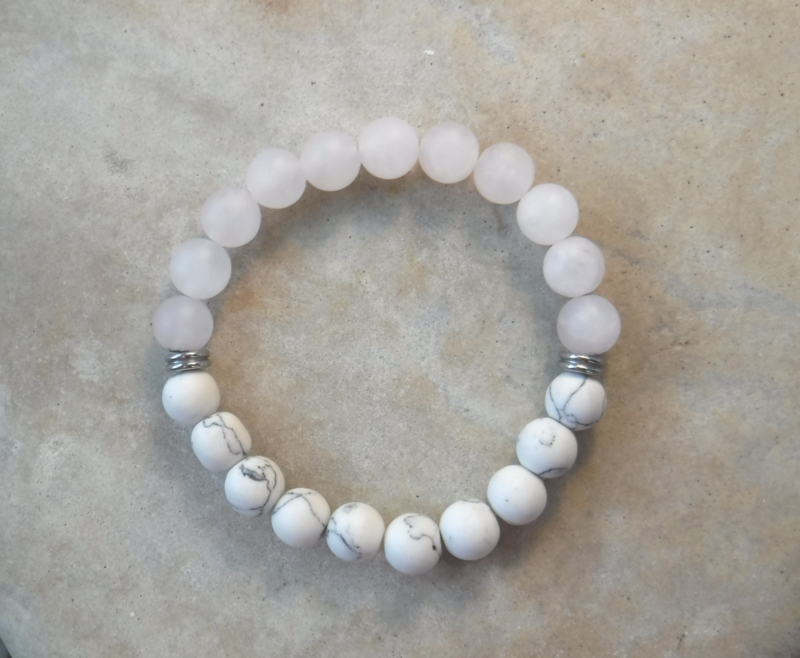 White Howlite inspires calming, helps with deep sleep, and increases insight.